Trillions of dollars in uncontrolled central bank stimulus and years of artificially low interest rates have poisoned every aspect of our financial system. Nothing functions as it used to. In fact, many markets actually move in the exact opposite manner as they did before the debt crisis began in 2008. The most obvious example has been stock markets, which have enjoyed the most historic bull market in history despite all fundamental data being contrary to a healthy economy. 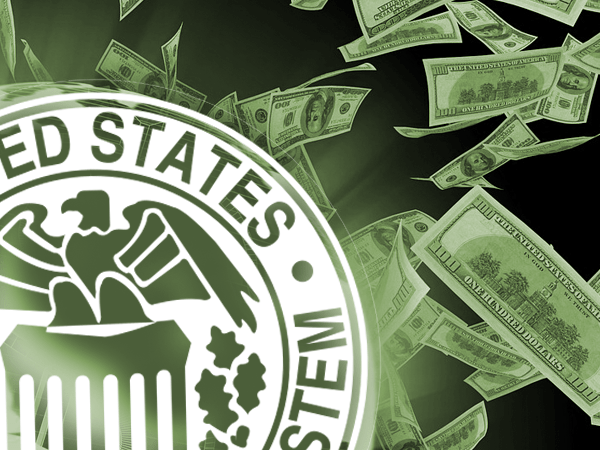 With a so far endless supply of cheap fiat from the Federal Reserve (among other central banks), as well as near zero interest overnight loans, everyone in the economic world was wondering where all the cash was flowing to. It certainly wasn’t going into the pockets of the average citizen. Instead, we find that the real benefactor of central bank support has been the already mega-rich as the wealth gap widens beyond all reason, as well as a magical equities rally that SEEMS to be invincible. Another strangely behaving market factor that has gone mostly unnoticed has been the Dollar index (DXY). Beginning after the global financial crisis in 2008, the dollar’s value in reference to other foreign currencies initially moved in a rather predictable manner; collapsing in the face of unprecedented bailout and stimulus programs by the Fed, which required unlimited fiat creation from thin air. Naturally, commodities responded to fill the void in wealth protection and exploded in price. Oil markets in particular, which are priced only in the US dollars (something that is quickly changing today), nearly quadrupled. Gold witnessed a historic run, edging toward $2,000. Normally, Fed tightening policies should cause an ever-increasing boost to the dollar index. Instead, the dollar is facing a historic plunge not seen since 2003. What is going on here? Well, there are a number of factors at play. First, we have a growing international shift away from US treasury bonds (debt), which may be affecting overall demand for the dollar, and in turn, dollar value. We also have a subtle, yet increasing, international appetite for an alternative world reserve currency. The dollar has enjoyed decades of protection from the effects of fiat printing as the world reserve, but numerous countries including Russia, China, and Saudi Arabia are moving to bilateral trade agreements which cut out the US dollar as a mechanism. This will eventually trigger an avalanche of dollar flooding into the US from overseas, as they are no longer needed to execute cross-border trade. And, in turn the dollar will continue to fall in relative value to other currencies. Finally, we also have the issue of nearly a decade of Fed stimulus that has gone without audit. We truly have no idea how much fiat was actually created by the Fed – but we can guess that it was a massive sum according to the seemingly endless rise in equities from a point of near total breakdown, funded by quantitative easing and stock buybacks. 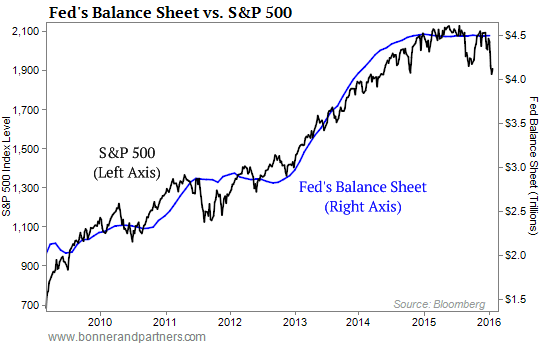 You cannot conjure a market rebound merely with debt. Eventually, that currency creation and the consequences will have to set a foot down somewhere, and it is possible that we are witnessing the results first in the dollar, as well as the Treasury yield curve, which is now flattening faster than it did just before the stock market crash in 2008. A flat yield curve is generally a portent of economic recession. Here is where things get interesting. Throughout 2017, I warned that the Fed would continue to raise interest rates (despite many people arguing to the contrary) and would eventually find an excuse to increase rates much faster than previously stated in their dot plots. I based this prediction on the fact that the Fed is clearly moving to pop the enormous fiscal bubble it has engineered since 2008, and that they plan do this while Donald Trump is in office (whether or not Trump is aware of this plan is hard to say). Trump has already taken credit on several occasions for the epic stock rally, and thus, when the plug is pulled on equities life support, who do you think will get the blame? Definitely not the banking elites who inflated the bubble in the first place. A small number of Wall Street economists are also warning of more rate hikes in 2018, and that this may cause considerable shock to the delusional stock rally in play right now. This may be the Fed’s plan. The central bankers need a scapegoat for the eventual bursting of the market bubble that they have produced. Why not simply allow that bubble to finally implode in the near term, blaming the Trump administration and, by extension, all the conservatives that supported him? To do this, the Fed needs an excuse to hike rates swiftly; and they now have that excuse with the dollar dropping like a stone (among other reasons). So far, gold has actually spiked along with Fed rate increases, which might seem counter intuitive, but so is the dollar falling along with rate increases. I do think that there will be an initial and marginal drop in gold prices if the Fed increases the frequency of rate hakes. That said, eventually reality will set into stock markets that the party is over, the punch bowl is being taken away, and Trump’s tax reform will not be enough to offset the loss of access to trillions in cheap fiat dollars from the central bank.